I hope everyone is enjoying the long weekend and soaking up the last few days before back to school! We’ve finished our shopping and are pretty prepared for the first day back, all I have left to do is a little bit of lunch prep. The boys love their sandwiches but I like to give them a couple of other options from time to time to switch things up. 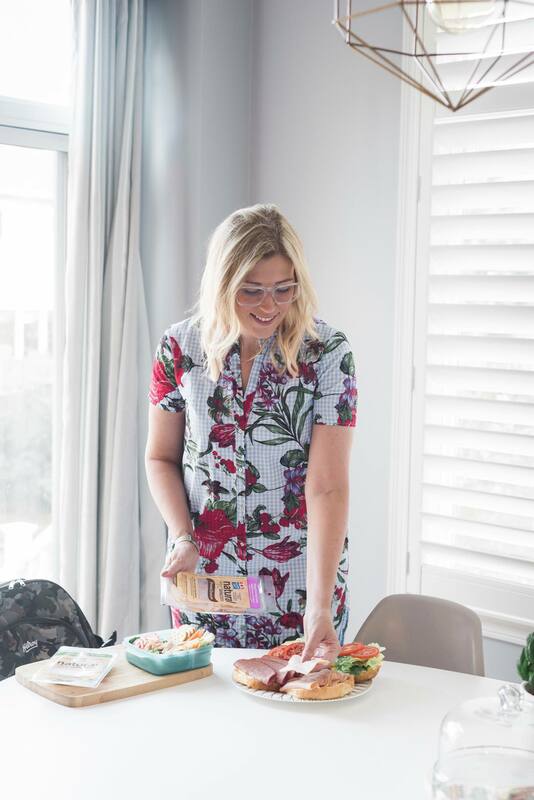 It can be hard to think up new meal ideas so I thought I’d share our “go to” healthy lunches that your kids will love this school year too. First off, I like to make sure our kids are eating a balanced lunch with lots of protein and vegetables. The boys can be pretty picky so we’ve figured out what they enjoy and put that into rotation so there is no complaining or food being wasted. We buy a lot of deli meat because it’s easy to incorporate into many different lunch recipes and the kids gobble it right up. As you know, I’ve been focusing on living a healthier lifestyle this year so when I’m shopping for food I really like to pay attention to the ingredients listed on all products. We’ve been using Maple Leaf Natural Selections for lunches because they raise their meat without antibiotics and only use natural ingredients so you can feel good about feeding it to your kids. If you didn’t already know, Maple Leaf recently made a BIG change to all of their products. ALL of their products are now made with natural ingredients that you can pronounce. There’s NO artificial preservatives, NO artificial flavours, NO artificial colours, NO artificial sweeteners, and NO animal by-products. They’ve made real, good food accessible for all Canadians and I think that’s pretty awesome! For back to school week we picked up Maple Leafs Natural Selections hardwood smoked salami, hickory smoked turkey and smoked black forest ham. The boys love all of these deli meats on their sandwiches, sometimes I use a croissant instead of regular bread to mix things up which they seem to enjoy. This week we’re also using the turkey for salads and on Fridays I’m doing hot thermos lunches and adding the last of the ham (sliced up) to some Mac and Cheese. Some other back to school lunch ideas that these deli meats would be great for are mini cauliflower crust pizzas, a quiche or tasty wrap. The possibilities are endless! What are your kiddos favourite back to school lunches? Who wants the chance to win 10 Free Maple Leaf Product Coupons?! Simply comment below and let me know what your favourite school lunch is and your favourite Natural Selections product! This contest is open to Canadians only. Contest closes 09/07 and winner announced the following day. This post was sponsored by Maple Leaf however all thoughts and opinions are completely my own. Our favorite school lunch is pizza . My favorite Natural Selections product is the oven roasted turkey breast. It tastes so fresh and natural! My favorite school lunch is pizza because I know the kids will always eat it. My favorite Natural Selections product is the oven roasted turkey breast. It tastes so fresh and natural! Our favourite school lunches are bagels or mini croissants with deli meat, cheese, or salmon salad. I always throw in fresh veggies too. Our favourite Natural Selections product is the oven roasted turkey. Favorite school lunch….is sandwiches there are many possiblities….easy to make…..my kids and i love the shaved ham best…..also good with chesse and cracker sandwiches….my kids favorite! Our favourite lunch is a Cobb Salad with each of us having the items we like in it. Our favourite Natural Selections include black forest ham and oven roasted turkey which completes our favourite lunches! The boys aren’t big on sandwiches, so cheese, crackers, veggies and fruit are a staple. The both love pickle roll ups – a dill pickle wrapped in a slice of Natural Selection ham. Fav Ham and cheese sandwich with mayo and mustartd! Ham and cheese sandwich with mayo/mustard! Thanks for the totally awesome contest reneemleblanc.com!! LOVE to win! Our favorite school lunch is crackers, cheese and meat. We love the Natural Selections oven roasted turkey! Love sandwiches made with croissants instead of bread! Ham, cheese, tomato and lettuce on a croissant is such a nice treat for lunch. Add a little green goddess dressing too. Our family enjoys Natural Selection shaved ham. Love wraps with oven roasted turkey, lettuce and cheese. I love to make oven roasted turkey and havarti rolls in mini soft tortilla shells, paired with fresh fruit for my sons lunch. My favorite school lunch is anything with pasta. My kids are a little fussy but noodles are always a win with them. I’m definitely planning on trying the mac n cheese with deli meat idea now. Thanks a bunch! Our favorite Natural Selections product is the oven roasted turkey. my favorite school lunch has always been beef sandwiches nmade with my mother;s roast beef and mustard. Shaved turkey is my favorite Natural Selections. Our favourite lunch is a ham , cheese and yellow mustard sandwich on whole wheat bread , with some fresh fruit and a bottle of water. Our favourite Maple Leaf Natural Selections product is the Shaved Black Forest Ham. We love cheese and Natural Selections oven roasted turkey wraps for lunches…tasty and nutritious! My favorite Natural Selections product is the Oven Roasted Turkey Breast. It has a delicious natural, not processed, flavour. Our favourite lunch is a salad or sandwich with turkey breast slices. I always liked having soup for lunch, but mostly got sandwiches. My favourite Natural Selections product is the Hickory Smoked Turkey. A favorite school lunch is ham or turkey on a croissant or in a wrap.My favourite Maple Leaf Natural Selections product is the Shaved Black Forest Ham! Naturals chicken and old fashioned mustard on buttered sof white bread! My favourite school lunch is and always be a ham and cheese sandwich with lettuce, tomato and mayo…My favourite Natural Selections product is the Black forest Ham! YUMMIE!! Thanks!! The Hickory Smoked Turkey! We add our favourite cheese to that, and make a nutritious, easy lunch! my favourite school lunch is natural selections shaved black forest ham in a nice cheese and meat wrap, one of the few things my little picky eater loves! Hickory Smoked Turkey. Bring it on! I love a ham sandwich with lettuce and mayo! so yummy. The turkey breast slices are my family’s favourite product, and my favourite school lunch used to be pizza! Carved natural selection turkey breasts. Best school lunch is one I don’t have to pay for! Haha. My husband loves the Natural Selection turkey and chicken slices in his lunch sandwiches. We also appreciate how Maple Leaf took responsibility a few years ago for the safety of its products–an example of how to be honest and open. We like the Natural Selection turkey and chicken slices with tomatoes and mini cukes on a bun. 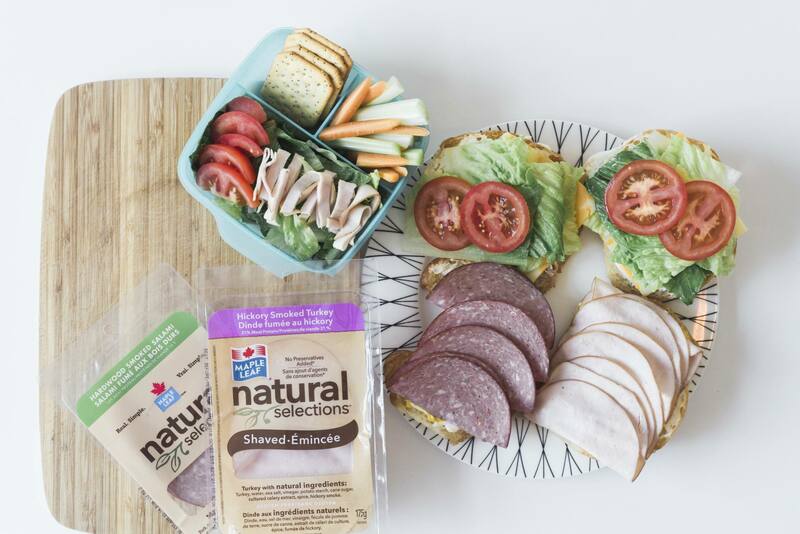 My kids love Natural Selections shaved turkey on a sandwich for lunch; easy peasy! I love the Natural Selections shaved turkey for my boys and a simple sandwich in a hamburger bun with a juice box and some cut up veggies as a snack is their favorite lunch. We love the shaved ham for sandwiches or just rolled up. My favourite lunch is school lunch is grilled chicken salad. It’s a great healthy option! My favourite Natural Selections product is the Oven Roasted Turkey Breast. My kids’ fave school lunch is soup sent in a thermos, it’s quite a novelty. Our favourite maple leaf product is the smoked salami! Ham and swiss sandwich with Natural Selection Ham! My favourite school lunch to make is wraps and we always get the Maple Leaf Oven Roasted Turkey from Costco to use in those wraps! 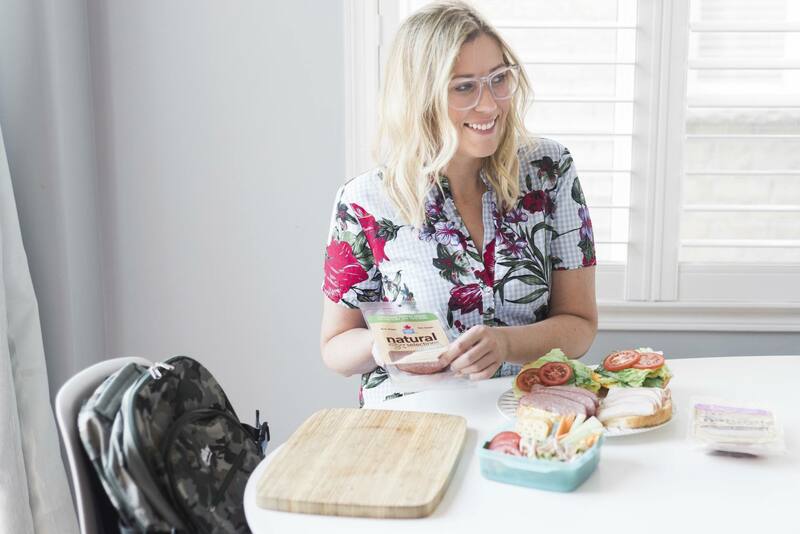 I switched to Maple leaf Natural selection, because i wanted to give my kids a healthier option that didn’t include artificial preservatives, flavours, or colours. I am glad more and more products are becoming available that are a more natural choice for families. Our Favorite Natural selection is the Roast Turkey, I use it in all kinds of sandwiches. We also use it for cold plates and snacks. A family favorite. My favourite school lunch is a sandwich (with maple leaf lunch meat) and fruit and veggies! Current fave lunch is an Asian salad, with shredded Hickory Smoked Turkey slices mixed in. We always go for Hickory Smoked – lots of flavour and great in salads. My kids love wraps. Putting in hickory smoked turkey would make them even better. I like the turkey for turkey club sandwiches. We love the turkey breasts, and my kids love making wraps out of them!! I really like the Natural Selections shaved oven roasted turkey breast the best. The kids really like it when I make them turkey bacon sandwiches for lunch. My favourite school lunch is a bagel with cream cheese. And my favourite Natural Selections product is the Hickory Smoked Turkey! Our favourite school lunch is ham and cheese sandwiches which we make with our favourite Maple Leaf Natural Selections black forest ham. My favorite is the oven roasted turkey breast. I love a turkey and lettuce sandwich on white in summer. Kept in the fridge, it’s so refreshing. My grandson likes fruit, cut up veggies and a ham sandwich. My favorite Maple Leaf Natural Selections is the Thick Carved Smoked Black Forest Ham. My favourite school lunch is a sandwich made with my favourite Natural Selections product- Slow Roasted Shredded Pork! The thick carved natural selection turkey breasts is my favourite and for mine and my husbands lunch we like a turkey sandwich with iceberg lettuce and lite mayo on fresh whole wheat bread. My favourite sandwich is black forest ham with mozzarella cheese and lettuce and tomato on rye bread. I make my husband’s lunch every day. He loves the shaved oven roasted turkey breast on fresh buns. I like the roasted chicken breast and my favourite lunch is a sandwich with tomato, cucumber, chicken and cheese! It’s a toss up between the shaved ham and the oven roasted turkey. We usually alternate between the 2. 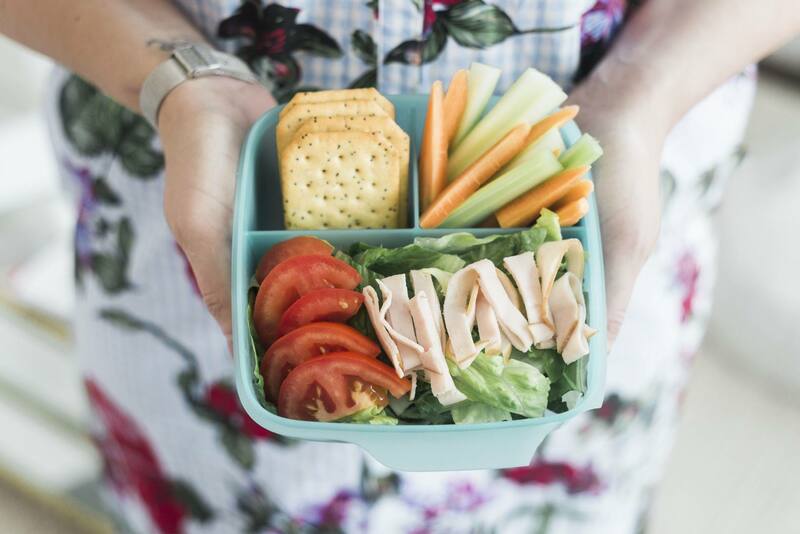 We’re fans of bento boxes and love adding the Natural Selections cold cuts with sliced cheese & crackers. I love the hickory smoked turkey breast, topped with mozzarella cheese, spinach and a wee bit of mustard! Thanks for the chance to win! My favourite school lunch are sandwiches of every variety. We love the black forest shaved ham and the hard wood smoked salami. Favorite is ham & swiss cheese with avocado, sprouts, mayo & honey mustard – sesame bread. We love wrap with Ham, cheese, lettuce, cucumber and ranch dressing. Carrots, strawberry and a yogourt. Thank you! A favourite school lunch is a sandwich, with cucumbers and carrots on the side. Plums are a favourite fruit. We love the natural selections shaved ham. Ham and mozza with pesto – love their honey ham! A really great sandwich with oven roasted turkey! My favourite school lunch is ham sandwiches because the kids love them. I buy natural ham slices all the time. We love the Maple Leaf Natural Selections Slow Roasted Shredded Turkey. Our favorite school lunch is Chicken and Arugula Pita Pockets. 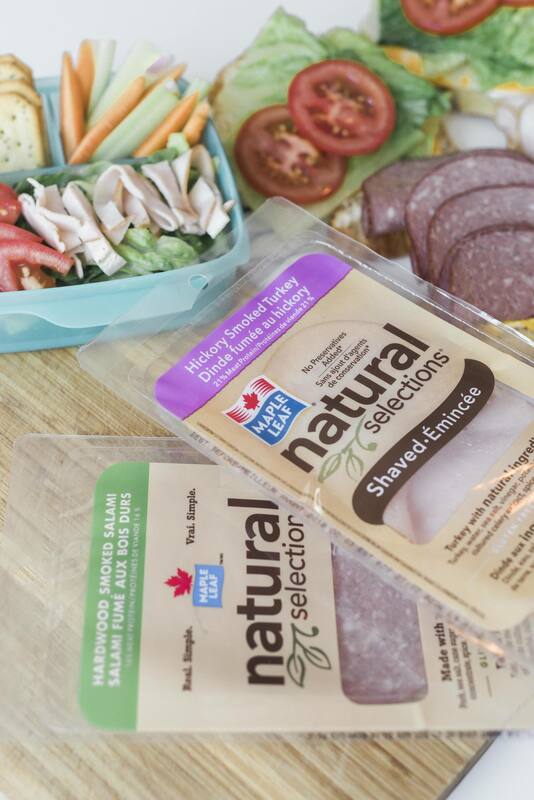 I love Natural Selections smoked turkey and my favourite lunch is a salad with veggies and cold cuts to round it out. 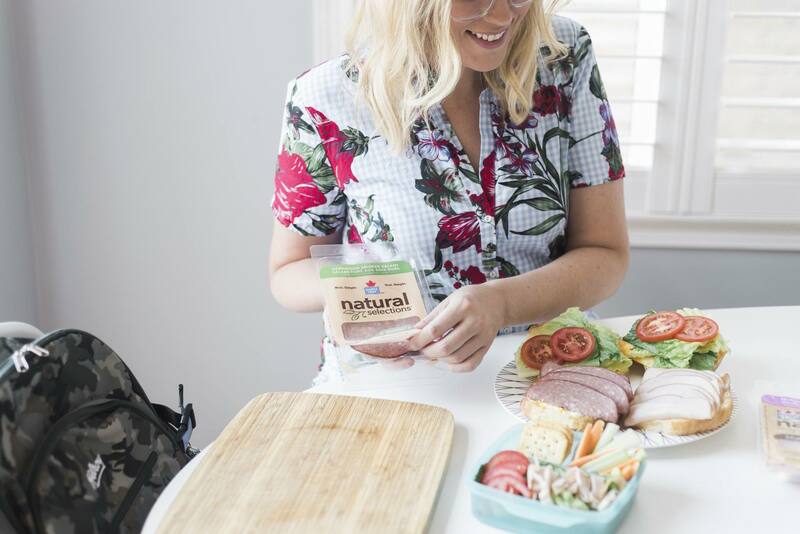 We love using the Maple Leaf Natural Selections Baked Ham for sandwiches and in salads. We loved their shaved ham, and making wraps for lunch. Turkey and cheese pinwheels are the best. My kids really like this lunch meat and ask for the honey ham. my favourite product is the maple leaf natural selections shaved black forest ham and my favourite school lunch is a toss up between a black forest ham and hummus wrap or a black forest ham and cheese sandwich. My favourite product is the Maple Leaf Natural Selections Smoked Black Forest Ham and my favourite lunch is a black forest ham sandwich with a slice of cheese and lettuce and a yogourt. My favourite lunch is a sandwich with lunch meat,lettuce, cheese and mustard. I love crackers, cheese and meat with a side salad or fruit/veggies for lunch but occassionally sandwiches are good too. My favorite natural selections product is the salami! We love using Natural Selections for wraps! My favourite product is the smoked turkey.